The best edition to The Flash this year is coming back for more as Hartley Sawyer has been promoted to series regular for season five. 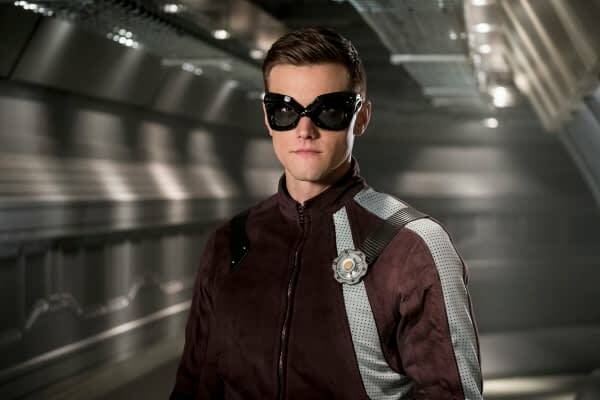 Sawyer’s Ralph Dibny aka The Elongated Man made his debut in the fourth episode of season four as one of the “bus metas” that had an unpleasant past with Barry Allen (Grant Gustin). But the two found a way to put that past aside and Barry began training Ralph to use his new found stretching powers to being a hero. Ralph was key in the fight against the season big bad Clifford DeVoe (Neil Sandilands) aka The Thinker and was believed to be dead at one point, but he got better… obviously. The character was first created in the Flash #112 (1960) by John Broome and Carmine Infantino with input from editor Julius Schwartz. He was created specifically to be a supporting character for the book. Schwartz was unaware that DC owned the rights to the similarly powered Plastic Man at the time. Sawyer’s promotion goes along with Danielle Nicolet also being made a series regular for next season and word that Keiynan Lonsdale would not be one. The season finale of the Flash was intended to have two setups for the new season, one being the reveal that the mysterious girl was actually Nora West-Allen (Jessica Parker Kennedy) and then a teaser for the next big bad. The big bad teaser was cut for time, but producers have said they would find some way to show fans before the new season. My guess would be at Comic Con next month. The Flash season five will air Tuesdays at 8PM this fall.